Exhibit the Core Values of PowerObjects. Attain/Maintain Microsoft Dynamics 365 certification(s) as required. Build and maintain a sufficient and accurate pipeline of sales opportunities to ensure that sales goals are consistently met or exceeded. Successfully lead and execute the sales process in partnership with various contacts and roles with our Microsoft, our strategic business partner. This is of critical importance for this position. Prospect and penetrate a list of named accounts as assigned via professional prospecting and networking direct with target accounts and also via the Microsoft account teams assigned to those accounts. This is also of critical importance for this position. Manage all opportunities using the PowerObjects Proven Process methodology. Act as the primary liaison and contact accountable to customers to ensure that expectations are properly set, met or exceeded. 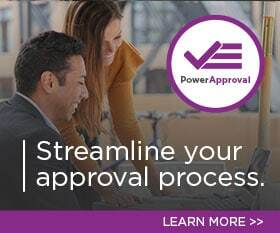 Read, understand and follow any policies and procedures specific to the sales team as well as the general policies and procedures of PowerObjects. Other duties and requirements as needed or assigned. Master the PowerObjects Proven Process methodology. A strong knowledge and understanding of sales, marketing, and customer service related business issues and processes across a wide variety of industry segments. An above average ability to comprehend and communicate technical information as appropriate in the sales and evaluation process. Must have specific experience selling AX or CRM solutions to Mid-market and Enterprise customers.